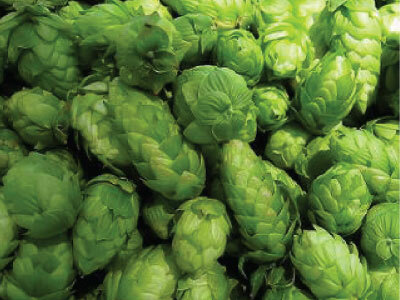 Humulus, or better known as “Hops”, is a hardy perennial grown for flavoring beer. The flowers of the Hops blooms from July to August and are used for medicinal purposes. Along with the flowers, Hops plants produce very fragrant green fruit that can be harvested in the fall. These vining plants are perfect for porches. The Humulus, or known as hops, is a climbing variety that produces green flowers that are most commonly used for brewing beer.